These poles are good for anyone needing a light, adjustable height pole for on-trail use. 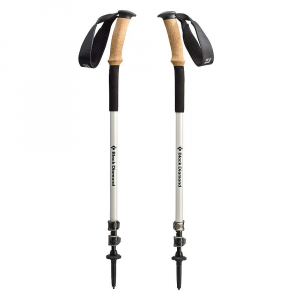 These are the most well balanced trekking poles I’ve used. They are fabulously light and I found the cork grip to be quite comfortable (and progressively so as the woody cork grips get to know my hands). *In my opinion this product is not suited for use in thick bush as the updated FlickLock Pro locking mechanism can snag on brush or branches and open unexpectedly. My rating assumes use on generally maintained and open trekking trails. Read through to the extended summary for more details on this point. About me and my backpacking trips: I live in Knoxville, Tenn., USA and 99% of my trips are in the Southern Appalachian ranges. I usually go for short two-day, two-night trips, year round. If you require further veracity regarding me you can register at Trailspace and see a list of the last two years of my posted trip reports in my user profile using this link. 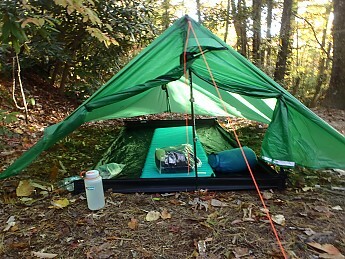 This initial review is based on my experiences over five backing trips covering 10 nights and about 157 miles of backpacking in the Southern Appalachians. 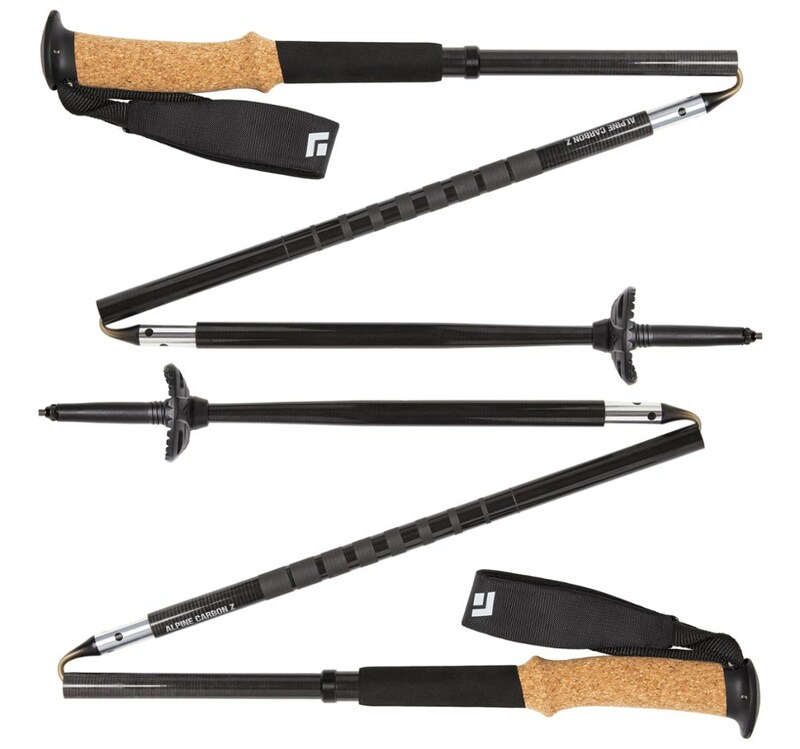 The Black Diamond Alpine Cork Trekking Pole has carbon fiber shafts, cork grips, dual length adjustments, FlickLock Pro mechanisms, and adjustable wrist straps. The listed weight is 1 pound for the pair and my home scale agreed. I tested a 2013 model, which uses the redesigned FlickLock Pros. The manufacturer's product page is here. This is a really good looking set of poles. The cork grip felt fantastic in my hands. The lack of weight is surprising at first and quite noticeable. 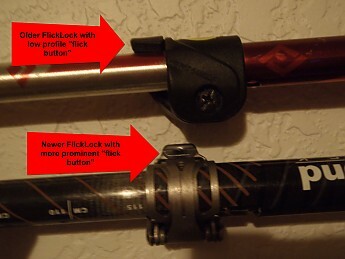 *Beware: make sure you properly tension both of the FlickLock mechanisms on each pole. If you leave them too loose the poles will slip under pressure. These were quite loose out of the box and I had to turn the adjustment screw a little more than a quarter turn to achieve sufficient tension. In the picture below I’m comparing the lock of my older set of Black Diamond Trail Shock Compact trekking poles with this newer 2013 Alpine Cork pole. Notice that with the Shock Pole (the upper pole in the picture) the external cam button is set level with the immovable plastic lock assembly. On the Alpine Cork pole the external cam button is prominent. If the design change was to make it easier to “flick” with your fingers it was a success; however it is also easier to “flick” when coming into contact with bushes. "With the FlickLock Pro, Black Diamond aimed to reduce the overall volume, maintain an easy to close lever action, and produce the most secure pole locking mechanism on the market." Below are BD's claims, as mentioned in the article above. My take: This may be true when considering downward pressure, but my Trail Shock Compact poles never slipped so I didn't notice a performance increase. My take: Well, the overall mechanism is certainly a lower profile but the button or lobe is far more prominent as seen in my photo, which I consider as an introduction of a new potential point of failure. My take: Surely true, but to me this change was fixing something that wasn't broken. a slightly heavier weight (the FlickLock Pro is 20 g, FlickLock is 16 g). My take: 4g is negligible weight gain and if you are comparing an aluminum pole to a carbon pole, the difference is made up for. I don’t dispute that this newer mechanism is stronger…when closed. The wrsit strap fit well. I have medium to small hands and the adjuster strap did get tight enough for proper support. The stock tip is carbide which worked well for the places I went (even on the rocks). A rubber set is sold seperately. The Powder Baskets worked quite well in snow and they screw on the threaded shaft; they were secure in motion. 1.) 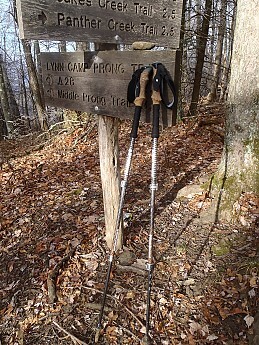 My first excursion with these poles was a 13.5 mile overnight to the Smokies. I used these poles as the tarp support poles for my shelter. I was quite impressed at the balance and smoothness of these poles within the first two miles of hiking. 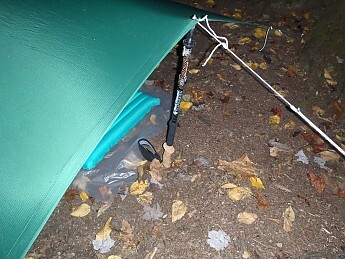 I did however uncover one of my “cons” at the first night's camp: what had a been a smooth motion for extension and retraction of the shaft was much less so after dropping one of the poles in the dirt and then retracting it without cleaning it first. Dirt and grit traveled right up into the larger shaft “just like that”. I later discovered that best practice is to wipe down the lower shaft before retraction. This isn’t a huge deal but I don’t have to do that with my other adjustable poles. 2.) 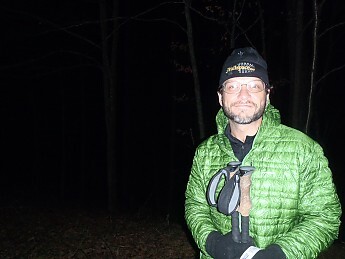 My second outing was a 90-mile section of the Appalachian Trail. This trip served as verification of the strength: there were many long section of super rocky trail and as usual I got these poles hung many times but they never bent. I also really enjoyed the light weight on the long mile days. Again I used the poles as part of my tarp-tent setup. 3.) 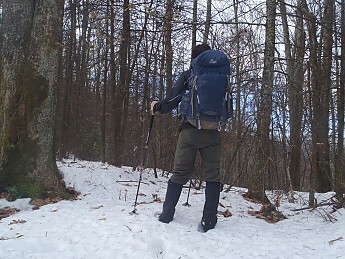 My third experience was a 12-mile out-and-back trip to the Smokies to play in the snow. I was able to try out the Powder Baskets and they worked well. Although they call them Powder Baskets, they actually seemed more effective in the wetter snow for some reason. 4.) 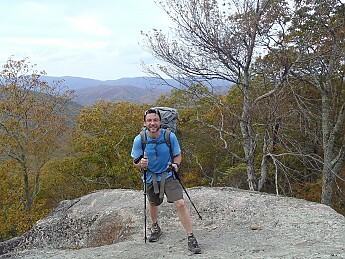 My fourth foray was into the Citico / Slick Rock wilderness area on a tough 20-mile loop. That trip uncovered a significant point of interest and requisite information about these poles: the new FlickLocks aren’t good in thick bush and bramble. I unknowingly missed a switchback on a trail (walked right over a blocking stack of branches somehow) and went pretty far off trail before I realized it. Long story short I could not retrace my route and had to bushwhack first up then down a mountain side. These poles had me cursing before I made it back to a trail. In the dense briars, rhododendron, dog hobble and bush the FlickLock mechanism kept snagging open and causing the poles to retract while I was hiking. Admittedly, I was tense from losing the trail and battling thoughts of being late to work the next day so it’s possible that colored my experience and subsequent impression. However, it was a noteworthy event. 5.) 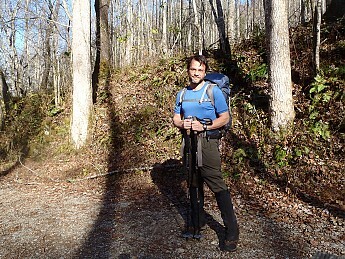 My fifth trip was to the Smokies while pushing a hard 20-mile loop. Again I really enjoyed using these poles on-trail. I got these poles hung up in rocks more than once with a fair bit of pressure and they didn’t bend (I’ve bent aluminum poles before on the same route). 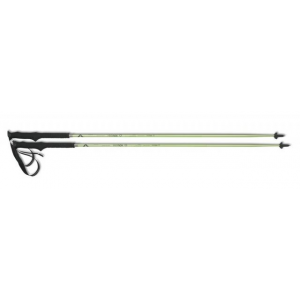 These poles are good for anyone needing a light, adjustable height pole for on-trail use. 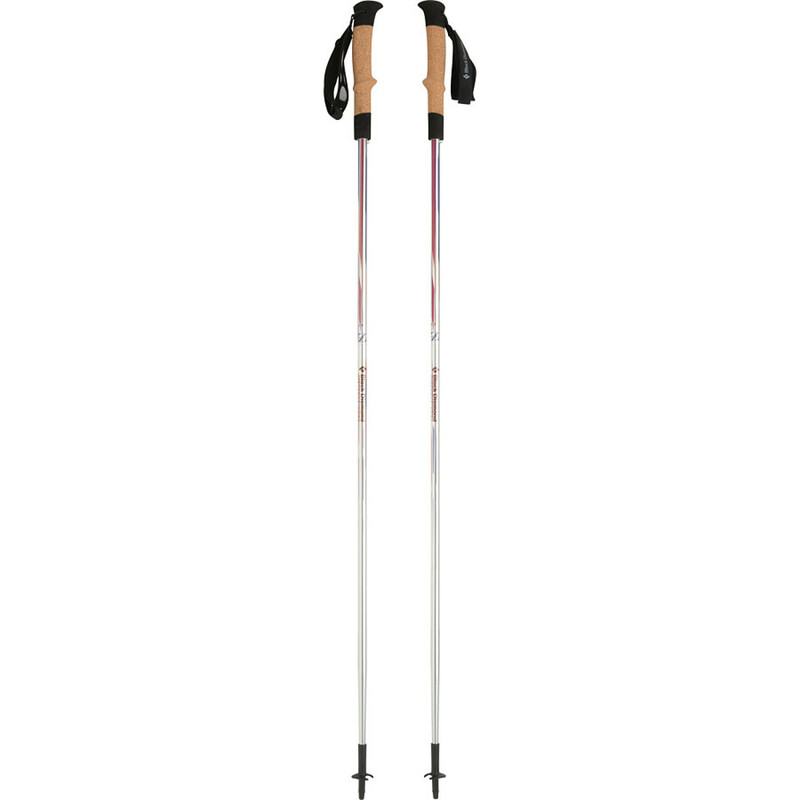 These are the most well balanced trekking poles I’ve used. They are fabulously light and the cork grip is very comfortable. This product is not suited for off-trail or really any use in thick bush as the locking mechanism can snag on brush or branches and open very easily. I experienced much internal debate on a rating for these poles. The big problem was how to deal with the off-trail experience. My first thought was that used on-trail this is a four star product. But used off trail in dense bush it is a one star product; I could have split the difference and given it a two star rating. However, after carefully reading the manufactures description (where there was no mention of going off-trail or bush whacking) and taking into account that it is marketed as an “Alpine” product I decided to rate it for use on-trail. Another factor was that I’ve used these poles for 157 miles of total backpacking but only experienced issues on about 2 of those miles (less than 2% of the usage for me). Thanks for testing these out and sharing in a review, Patman. Interesting to hear your thoughts on the new FlickLocks. Great review, Patman! Black Diamond sure does make some nice poles. Nice review. I'm looking for poles for a AT thru hike and like these alot. In the event that I had to bushwhack through anything thick, what would you think about wrapping the locks temporarily with electrical tape which could be easily removed later? You could certainly do that. On the AT you probably won’t have enough occasions requiring bush whacking to even worry about it. Those cork grips are really nice! Have a great trip! This review was really helpful in choosing a new set of poles. thanks! I replaced a pair of black diamond trail shock poles that have been pounded for a number of years. interestingly, the flicklocks on my pair arrived extremely tight. short of whacking the lock on a rock or a tree, i can't see how they would accidentally open with the poles extended (i go to 120cm). when the poles are retracted, the lower flicklock has trouble staying closed. the locking mechanism as of 2015/16 looks about the same. 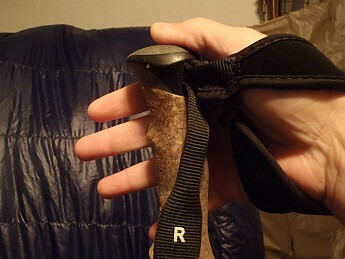 changes in the newer model: the foam handle extension (below the cork) is narrower and less contoured; the cork handle is less contoured and has a somewhat larger 'top' (for those who palm the top of the pole, that's a plus). minor changes. great review! Saved my knees... saved my life. Won't leave home without them. I have been a fan of hiking poles for a long time. Because I have horrible arch support, my sense of balance is pretty poor, and having those extra supports make a real difference. A few years ago, as I got ready for my thru-hike of the High Sierra Trail, I decided to upgrade from my old banged up Leki poles, and sprung for these. I chose the cork grips just for personal preference. I find them more comfortable on a long day than rubber. The straps are easily adjustable, and are comfortable on the wrist. The Flick-lock mechanism on these are rock solid, and once I got them adjusted to the tension I like, they have never slipped. The poles do not have any "anti-shock" mechanism, which I prefer. The natural shock absorbing quality of the carbon fiber does the job, and much quieter. The carbide tip is again, rock solid, with rare slipping. I have used both the trekking baskets in the summer, and the snow baskets in the winter when out on snowshoes, and they do the job. Though they are strong, they are not bulletproof. Once when descending a High Sierra peak, and hopping through a talus field, the tip of one pole got wedged between two boulders, and I tumbled forward a little bit, and snapped the bottom section. I was pretty irritated, especially considering how much they cost. I called Black Diamond customer service, and asked about ordering a replacement section. The representative said that they didn't appear to have any in stock, but that he'd take the bottom section off of another pole, and send it to me. The charge for it was much lower than I expected. So B.D. gets an A+ for customer service, in my book. These poles have been everywhere with me... along the High Sierra Trail, most of the Muir Trail, around Mount Rainier, and too many other hikes to recount. They have saved me from plummeting to my death more than once, and kept me moving on long days on the trail. I never hike without them! Thanks for the review, David. 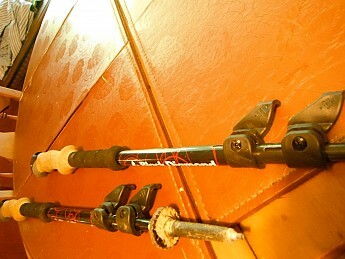 Black Diamond poles are my first choice for trekking and ski poles. I've used poles when snowshoeing for a long time now, but never for hiking until a trip to Mt. Washington a month ago. I will never be without them again! I love my BD Synclines. The Alpine Carbon trekking poles are light, strong, versatile and have very comfortable cork handles. Backpackers, climbers and hikers alike will enjoy using these poles on the roughest approaches to simple day hikes. The carbon fiber shafts absorb a fair amount of vibration and the locking mechanism is secure. After two+ years of use on several backpacking treks, these poles have remained strong, reliable and I highly recommend them. Fit: The 360-degree, adjustable Nubuck leather hand straps are very comfortable and support the wrists. 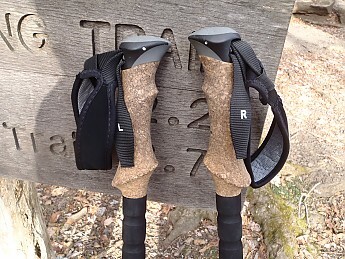 The cork grips are very good quality and provide great comfort, especially for long treks. Shaft: The 3-section, carbon fiber poles are light, yet provide a solid and secure feel with a pleasant swing weight. Adjustability: The pole length are can be adjusted and has the ability to expand or collapse using the FlickLock Pro locking mechanism. The straps are also easily adjustable. Locking: The poles have a lever lock action and can be placed into hike position with a very solid and reassuring click, and switch back and forth from collapsed to extended length with ease. Shocks: While these poles don't have an anti-shock mechanism, the carbon fiber shafts absorb a fair amount of vibration. After hiking several trails, I actually appreciated the fact that these poles didn't have an anti-shock or dampening mechanism. The security and balance provided by the poles making solid contact over rough and uneven terrain has proved a "life saver" countless times. Traction: Poles come standard carbide tip, which is great for all applications. I have not experienced any slippage on wet or dry terrain. Baskets: Poles feature interchangeable low-profile trekking baskets; the baskets' small size reduces weight and snagging. Accessories: Spare trekking pole, Powder, Freeride baskets, rubber tip protectors, and flex tips are available accessories. 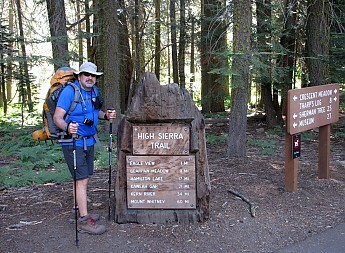 Ease of Use: The poles are very easy to use and features have worked as expected during each hike. Construction & Durability: The construction and durability of the poles is outstanding. I'm impressed with the quality of Black Diamond equipment. Conditions: These poles have been faithful, knee-saving companions on miles of hikes including carrying big loads to base camps over the past two years. They're light and durable, the Flicklock adjustment never slips, and the cork grips are super comfy. The lower grips are great for choking up on steep climbs. I'm also taking these poles with me on a 2-week trek at Philmont Scout Reservation in Cimarron, NM, this summer with the local Boy Scout troop and would not hike anywhere without them. Lightweight, stable trekking poles with tons of versatility and comfort. The locking mechanisms are bulkier than other poles; and can be inadvertently unlocked in thick brush. These poles sacrifice some weight in order to include more features; cork handles, and a lower grip for ascents. Other than that, there is only upside to these excellent tools. The straps on these poles are fully adjustable with a wide range of length adjustments. The adjustable portion of the nylon strap is a thin piece of webbing that passes through a lightly padded cradle. At the end of the webbing strap, where you grip it to adjust, the strap flares outward to provide more surface area and a better grip. The end result is the overall straps are small, with a lot of surface area to cradle your wrists at the point of contact, and the straps are easily adjustable with gloves on. The poles are fully adjustable with markings for between 100 and 130cm. Each section of the pole is marked with length grades; so once you've dialed in your correct pole length, it's easy to collapse the poles and then expand them to just the right length again. The locking mechanism is a camming lever at the joint of each section which locks the lower section in the upper section. The tension on these locks is fully adjustable with a flathead screwdriver. The wrist straps are fully adjustable for a variety of wrist diameters; you can easily loosen them when you want to change wrist positions for ascents. The locking mechanisms are highly secure and very easy to engage and release. The manufacturer recommends storing the poles collapsed with the locking mechanism disengaged when outdoors to avoid the locks freezing, I have not yet had a problem with this. In thick brush it's possible to catch the levers and disengage the locks. This is one of the only two downsides to this pole, but for trail use or open wilderness hiking, the locks are excellent. These poles are rigid body and do not have any shock absorbing mechanism. The carbon fiber making up the pole body has a degree of flex to it, and does absorb some impact as the pole is planted. The poles come with carbide tips, which in my limited testing have done well in penetrating packed dirt and providing traction. The tips are modular and replaceable. I have replaced the tips on my poles with Black Diamond's rubber tips to reduce the marking the poles leave while hiking on rocks and other surfaces. These rubber tips also provide excellent traction in dry conditions, but slip some in wet environments. The poles come with two baskets, small low profile ones for warm months, and larger ~2 inch diameter baskets for snow. The baskets screw into place with molded plastic threading and stay in place securely. The poles have a modular tip system, which means instead of placing a rubber boot on the end of a metal tip, a rubber tip can be swapped out. I think this is good for muddy areas, and it reduces the footprint of the pole. The locking mechanism is the only significant feature of these poles, and it's much more consistent and apparent than twist locking mechanisms. The lever tension is adjustable, and it's easy to both know when they are positively engaged and when they are disengaged. These poles are sturdy, in some extents enhanced by the flex present in the bodies. As other reviewers have noted, you can catch the tips and bend the pole without them snapping or forming a creased bend. The handles hold up well to abuse, and overall the design is well thought out and sturdy. I've been using these poles over the past year in warm environments on dirt, mud, and rocky trails. They've been particularly useful in stream crossings after major rainfalls. The poles that keep giving and giving! I hate adjustable poles and poles with lots of features (the anti-shock stuff is strange?). My favorite pair of trekking poles are my DIY poles made using carbon fiber golf club shafts and cork fishing pole handles if that tells you anything about my choice in poles (rigid...super light...comfortable and surprisingly durable...what more could I ask for?). Upon purchasing these poles I immediately removed the baskets and straps...so I cannot speak to their performance...except the volume they require in a trash can. Similarly...I have never really needed the foam extensions either...because if an incline is long enough I simply adjust the pole lengths. With that said...I hardly complain when I use my BD Alpine poles...and everyone I let borrow these poles LOVES them...some converting to pole-users after realizing how much poles save on their backs and feet. As far as ease of use...what could be easier (and more durable) than the flip-adjust mechanisms on these poles? 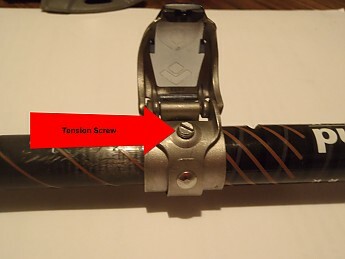 There are a few complaints on here about the flip-mechanism being too easy to release...but my pair have a tension screw on each locking mechanism...and I have NEVER had mine release without me doing so...but then again...I do have a lot of tension on these screws (also...I store my poles with the locking mechanisms open to prolong their tension...just as I do with tent poles...etc.). They only complaint I really have...and I think these poles are a solid buy for anyone...is that if you have small hands (as I do) the cork handles are a little beefy. Don't get me wrong...the cork handles are as comfortable as can be (I have never had a blister yet? )...but I do find the size of the handles a little too large for my small mitts...which only seems to be magnified while wearing gloves. Easy and fast to extend and collapse. Lightweight but sturdy. Comfortable wrist straps. The contoured cork grips are great and for those time when you need to adjust your grip for changes in terrain there's a foam grip below the cork. I just won't go hiking without trekking poles; especially in the winter! I kept finding myself ready for an ad hoc hike and not having poles, so I decided to pick up a spare pair to supplement my aluminum trekking poles. One thing to pay attention to when selecting a pair is their collapsed size. If you want to keep a pair in your backpack or take a pair in your carry-on bag these are great at a collapsed length of 25 inches. 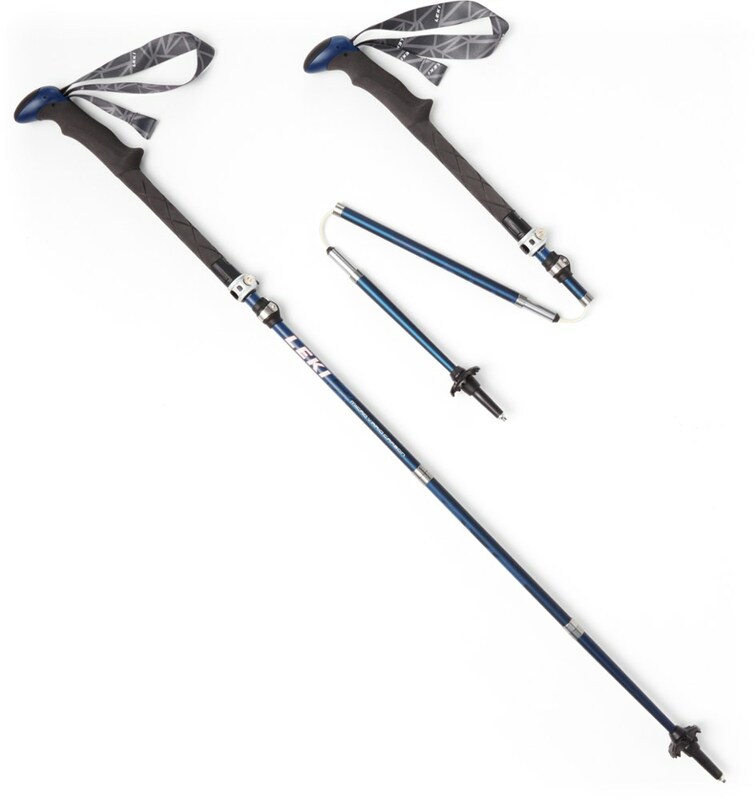 The Z Poles pack up shorter, but aren't as adjustable. I sometimes share my poles with others so adjustability is important. I'm paying much more attention to weight as I get older so the carbon poles, at 1 lb 1 oz, are helpful. My only complaint is that the large rubber feet just slip on. I haven't had them come off yet but my other trekking poles have rubber feet that screw on. If you are participating in one of my favorite activities, hiking on snow and ice, the metal tips are perfect. Welcome to Trailspace, Gordon! Thanks for the review. Great pair and I love them a lot. Super nice to hold, are nice and light, I carry them around for months and I was looking for poles that won't feel to bad when on my back. Also when in use they feel light so my hands don't get tired. I used Leki before and I much prefere the flicklocks system that BD use - rain and snow, with my by gloves on, and it's supper easy to adjust my poles. 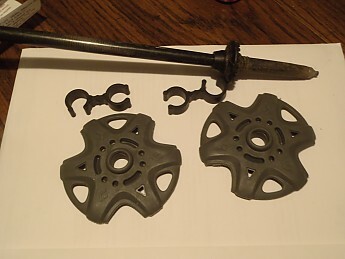 One thing - Carbon like carbon, can break - one's when my brother was using them in a stream cross one broke and that was only after 4 days of use. Can't really say what went wrong, if it got twist or what but...this is why it's getting 4 starts...but then, I was using it for 6 months and nothing happened to it so it is a risk I'm willing to take (as I did - taking them to Tajikistan with no backup poles). 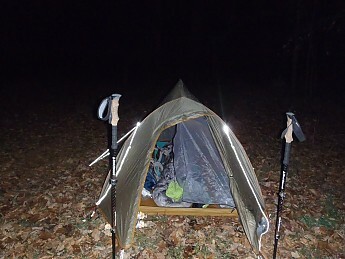 I just completed all 2179 miles of the AT and theses poles were with me every step of the way. Very light compared to most brands but the durability is what was most important to me. The carbon tips needed replacing after 1500 miles and one of the poles snapped while in the act of saving me from a serious fall. The multi adjustable locking shafts allowed me to immediately readjust the length and I was back in action once again. I saw many other name brand poles discarded along the trail both twisted and broken. Often asked what piece of gear would I not give up for anything. These poles were always the answer.